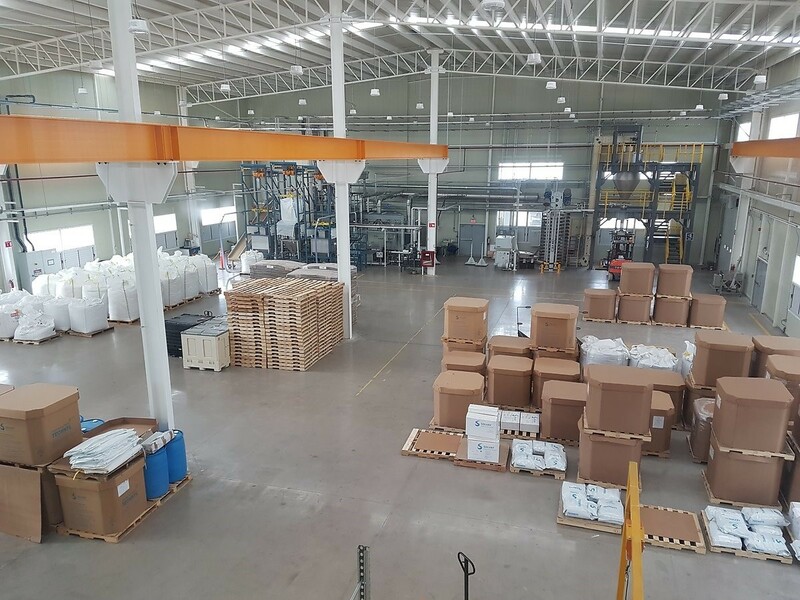 Solvay Performance Polyamides, a world leader in polyamide-based performance materials, announces the start of production of engineering plastics in San Luis Potosí, Mexico. This new facility is dedicated to the production of the Technyl® range and was built within a few months in partnership with Chunil Engineering, a global automotive Tier 1 and long-standing customer. Solvay Performance Polyamides supports customers worldwide with a complete array of advanced services designed to reduceproduct-to-market lead timesof their innovations. This offering extends from material characterization to application validation and includes 3D printing of functional prototypes in Sinterline® powders, predictive simulation with MMI® Technyl® Design2 as well as the testing of applications at fully equipped APT® validation centers. Solvay is a multi-specialty chemical company, committed to developing chemistry that addresses key societal challenges (www.solvay.com). Solvay innovates and partners with customers in diverse global end markets. Its products and solutions are used in planes, cars, smart and medical devices, batteries, in mineral and oil extraction, among many other applications promoting sustainability. Its lightweighting materials enhance cleaner mobility, its formulations optimize the use of resources and its performance chemicals improve air and water quality. Solvay is headquartered in Brussels with around 27,000 employees in 58 countries. Net sales were € 10.9 billion in 2016, with 90% from activities where Solvay ranks among the world’s top 3 leaders. Solvay SA (SOLB.BE) is listed on Euronext Brussels and Paris (Bloomberg: SOLB.BB – Reuters: SOLB.BR) and in the United States its shares (SOLVY) are traded through a level-1 ADR program.